Isuzu is branded by some to be one of the finest automakers in the world. Despite collaborations with General Motors and Nissan for diesel vehicles, the majority are produced solely by Isuzu for sale around the world. This Japanese automotive company produces a complete line of passenger vehicles and SUVs. The transfer cases that are put inside of each 4WD version are built to precision. 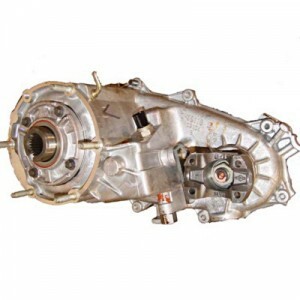 These are the used Isuzu transfer cases that we have in stock right now. What comes from our warehouse is nothing less than the highest used and rebuilt quality. Our inventory will likely surprise you. You will be surprised not because the price is lower than most sellers. The condition and the performance is what you will be most surprised by after you install a transfer case. There is a good reason why mechanics, warranty companies and salvage yards choose our company before other companies. It is the condition of what we sell combined with our friendly sales staff that makes a huge difference. When someone orders from us, they are not just a customer number, name or email address that we refer to. These are real people and we treat them professionally every step of the way. There are many popular Isuzu vehicles that used the standard transfer case. The Trooper is probably the most complex because it has advanced features that are not used in all of the vehicles. A diesel engine, torque on demand and without torque on demand often complicates the process of selection. What we offer you is the right transfer case for your needs. This will be guaranteed to fit and will work correctly with the displacement of the engine. The Amigo, Ascender, Axiom, Hombre and Rodeo all use the standard transfer case design. We want to help you make the right purchase so you never have to have a problem like some customers go through online. Most of our online inventory is eligible for an extended warranty. This means that each transfer case comes with a regular warranty that is offered at the time of purchase. The extension will come in after a certain time period and cover parts and labor. Everything that our specialists do here is warranted from breakage or sudden failure. Even the used drive train units we have are inspected, cleaned and sold professionally. You choose if you want a rebuilt one or one that is in gently used condition. We don’t play favorites and all of what we sell remains in high quality. Since we ship free most of the time, you can enjoy these extra savings. Our low price is given instantly and we don’t make you work overtime to get it. The simple quote form on this website is all you need to use. Just click on it and our lowest Isuzu price comes out. Any additional information will be provided about free shipping and warranty coverage. It is easy to use. You can always call (888)-508-7153 and we’ll personally assist you right now.